Why Is India Always the First Choice for Getting a Mobile App Developed? A mobile app is a necessity for many businesses and organisations. The dominance of Mobile is obvious. And there’s a sea of app suppliers who control or enhance our daily activities through their services. But when it comes to deciding if a new mobile app should be built in-house or outsourced to an expert team, the debate can be never ending. • You can easily hire a developer who believes in your business and will do whatever it takes to make it happen. • The biggest advantage: In-house developers are always with you, with a strong belief in your vision. • Another benefit of hiring an in-house developer is that you can check and improve the quality of the product. The above points make sense don’t they? But is it enough to build a successful mobile app? • A lot of applications that are developed are complicated, expensive and require knowledge and experience. 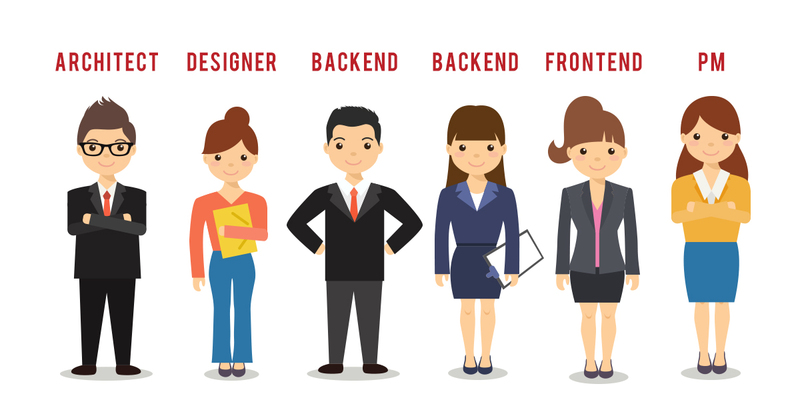 A typical project requires one architect, one designer, two back-end developers, one front-end developer, and one part-time project manager. If the team ratio goes wrong, you can create devastating project bottlenecks. • While building an app, it’s important to keep the objective clear for all your teams (what are we trying to build, what problems are we solving). And if one team feels pulled down, then be prepared for culture clashes. • Internal costs are always high. Not just developers there are various tools, software, systems, duplication of tasks in case someone leaves and licenses to be paid for. Good Business Grade Software is expensive and to fulfill your developer’s needs; you’ll need to buy it first and spend time setting up before you even see any ROI. • So are you sure, you are ready for project management? The important factor is, there are all sorts of unknowns (Example, New Operating Systems, Updated Browsers, etc..) In short, project management is troublesome. Let’s take Google wave as an example: Like many other Google products, Google Wave was meant to disrupt email’s dominance as personal communication! With Google Wave, you could bring a group of friends and business partners together to talk about your day or to share files. But soon Google Wave was announced officially dead on April 30, 2012. Yes, even a company like a google failed with its experiment. • Complexity is hard to accept, and it was one of the big problems of Google Wave. Even for people versed in technology, wave was not immediately intuitive which was the significant barrier for adoption. • With the pre-beta release of the product, even functions like notification and single URL were not available. This made it impossible to link the users from outside of the Wave. • Despite successful apps like Google Keep, Google Trips, Google Duo, or Google Allo, Google Wave failed due to incorrect management which could not be built as an easy to use the product. Now I can say the fear of building a complex app is one of the biggest reason why startups and other enterprises rely on outsourcing app development. What does hiring a mobile application development team means? You don’t have to bother about any of the technological challenges. In fact, many large organizations believe that often outsourcing is the cleanest, cheapest and most accountable way to get the job done. Specialist mobile app companies have seen all the challenges – learned from their experiences and avoiding pitfalls like project delays, wasted money or filling the knowledge gap when someone leaves. Considering all of the above, a hired team will deliver the quality on time due to their high level of experience. 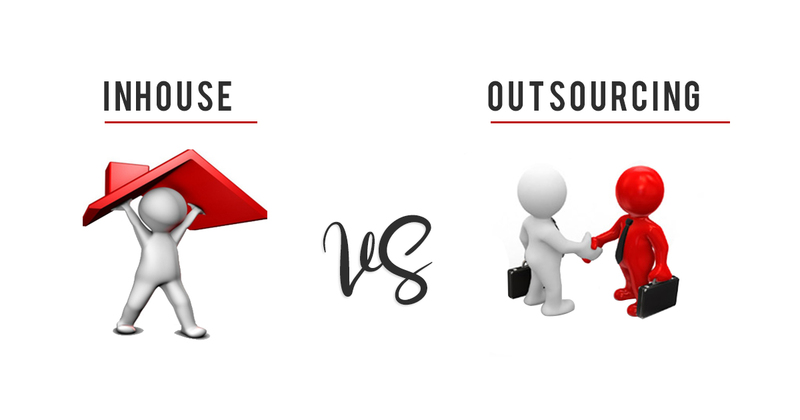 Outsourcing also gives the organization more time to strengthen their core business process. But how and where to find the best mobile app development company? There are top three destinations which will end your search: India, Philippines, and Poland. Being the leading country, let’s talk about India in detail. 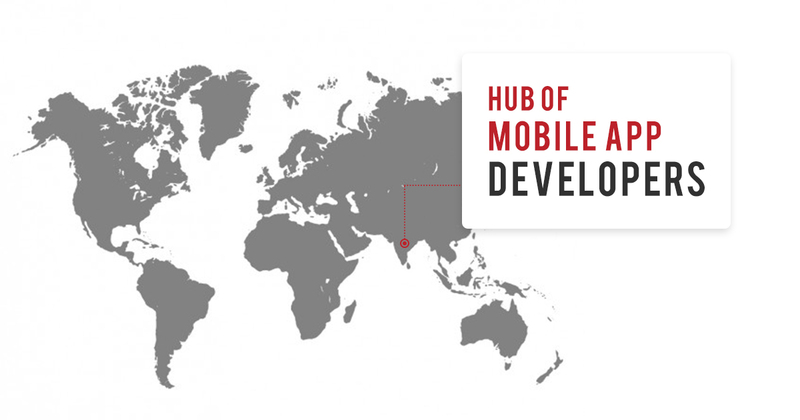 Why is India the Hub of Application Development? When we talk about outsourcing a tech project, the first name comes to our mind is INDIA. Why? The current workforce population in India is more than the entire population in the USA. A survey recently found that 80% of US and European companies chose India as their first outsourcing destination. This is because India harbors some of the world’s most skilled developers accompanied with cheap labor. Also, the National Association of Software & Service Companies (NASSCOM) report states almost half of all Fortune 500 companies has chosen to outsource software development to Indian outsourcing firms. A Times of India article states that India is the second largest English speaking country in the world after the US. India is also a hub of highly skilled people which attract companies to outsource in India. Indian Developers have been using HTML 5 because it is compatible with iOS, Android, and other platforms. India has an extended pool of developers with all the technical expertise of HTML5 and bootstrap meant for the mobile platform. Therefore, enterprises and startups rely on Indian developer team to get their work done. A mobile enterprise application platform (MEAP) is a suite of products and services that enable development of mobile applications. Every developer involved in building apps for various platforms like iPad, iPhone, desktop, etc. must understand MEAP or MCAP’s power. Developers from India have a good knowledge of these two sources, which impresses the companies to outsource their jobs offshore. Are you aware of the charges per hour for an Android developer? Similarly, where the average cost per hour for an iOS developer is $150 in North America, $43 in south America, $70 in UK, $35 in Eastern Europe, $110 in Australia, it is $30 in India. Many companies save enough money on hiring an Indian outsourcing company, compared to hiring full-time developers in-house that too for the better quality of an app. According to the bill “IT acts 2000” India is now a great place for investment. The government offers 100% foreign equity and backs IT infrastructure development thoroughly. So, you are also getting additional saving in tax, etc. The IT sector is always a top priority for the Indian government. Therefore, Indians have been able to build high-tech IT parks which have the best technology and infrastructure. This can be the best reason for hiring an Indian mobile development company. Being in a creative zone one does not prefer any hiccups with the development flow, and hence 24/7 support offered by Indian firms are quite popular. This also helps to build a long-term business relationship with the company, and also provide long-term maintenance services. Many startups shut because of building a complex product for its users. But simplifying the user experience is the biggest goal of a mobile app development company. Developers from India are well versed in understating of platforms. The experts in their fields have in depth knowledge, and they extend logical reasoning while developing various software. With such knowledge and experience, the results are smooth for the end users. There are benefits, a lot of benefits of hiring an Indian mobile development team to transform your idea into a successful mobile app. If you are looking to hire a professional outsourcing company then have a look at these 10 ten app dev companies in India. A mobile app can be either built in house or can be outsourced to an expert team. 80% of US and eastern European clients trust India the most.